After its aborted efforts with WebOS and the TouchPad two years ago, it appears that HP thinks now is the time to get involved with tablets. 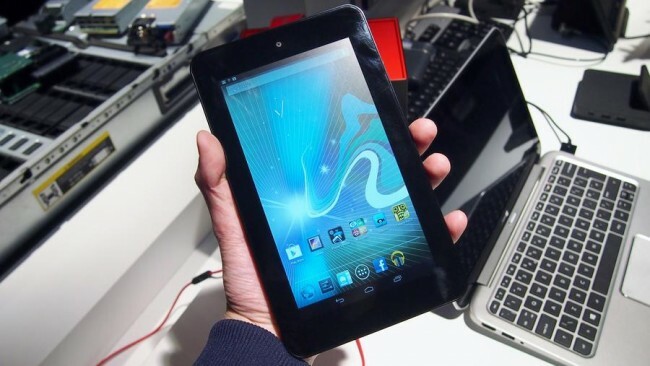 Here is the Slate 7 – a 7-inch tablet running Android 4.1 Jelly Bean. And why not? After all, though we think of tablets as a market that’s ‘Apple plus others’, it’s worth remembering that it’s actually in its infancy both in terms of the technology itself and the number of people globally that actually have a tablet – think how complex or widespread the PC or a mobile phone were after only a few years. And, of course, it’s only been three years since the first iPad emerged. So what about the HP Slate 7? Where does it fit in? Well the first thing to note is the price. The Slate 7 will be available in the United States in April with a starting price of $169. That’s pretty cheap, although it doesn’t quite match the Kindle Fire‘s $159 pricing. The Kindle Fire is probably its closest competitor, not least as the Slate 7 features the same screen resolution – 1,024 x 600 as well as a dual-core ARM Cortex-A9-based processor (HP hasn’t been more specific than that). The screen is the Slate 7’s first issue – it isn’t as polished as slightly more expensive 7-inch contenders such as the Kindle Fire HD and Nexus 7. Up against those slightly more expensive models this screen looks decidedly old-school. The Slate 7 is the industry’s first tablet to offer embedded Beats Audio, while software settings are also available on the device. HP reckons it hasn’t done a lot to the Slate in terms of software development, but says that this is merely its first step into Android – it will offer more differentiation in the future. Sound quality is undoubtedly given a bit of beef by the addition, and it’s a good selling point for the device. But HP must be careful that it’s not over reliant on Beats to separate it from the tablet pack. As for look and feel, it’s a pleasant device in the hand, even if the large black bezel is a little off-putting (we’d expect it at this price point, though). The Slate 7 weighs in at 13 ounces (around 370g). 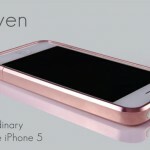 It has front and rear-facing cameras, though the rear is 3 megapixels only. Still, it’s a reason to buy the HP Slate over the original Kindle Fire, which doesn’t have cameras. The Slate 7 is quite good-looking from the back and side – there’s a stainless-steel frame and soft black paint in grey or striking red. As you can see, there’s a microSD slot on the top of the device as well as a headphone jack and the sleep/wake button. Charging and data transfer is via a micro USB port on the bottom of the device, where there are also two speakers as you can see. The Slate 7 is the first offering from HP’s newly formed Mobility Global Business Unit, established in September 2012 with the hiring of Alberto Torres. Torres joined HP from Nokia, where he was executive vice president and oversaw the MeeGo products and platform. Hopefully HP’s new tablets will be more successful than MeeGo. The HP Slate 7 does just enough to differentiate itself from the competition because of the cameras and Beats Audio support. But it isn’t a hugely impressive tablet. While it’s good enough for very basic pootling about in Android, using email and browsing the web, it’s not the tablet you want if you want to watch video (get a better screen). The Nexus 7 remains our 7-inch choice. This article by Dan Grabham appeared on Techradar.com, a Burn Media publishing partner.